The city of Allen has an interesting claim to fame: It was the site of the first-ever train robbery in Texas. Nearby McKinney, meanwhile, doesn’t have as colorful of a past but it makes up for that in current popularity. In the fall of 2014, McKinney topped the list of CNN/Money magazine’s “best places to live” poll. Two years prior, it ranked second on the same list. 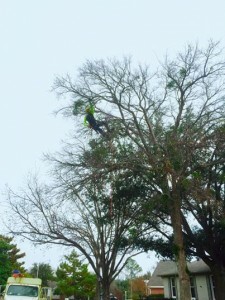 If you live in either very livable city, give us a call for your tree care needs. We strive be the best in the business, and it shows in our work. 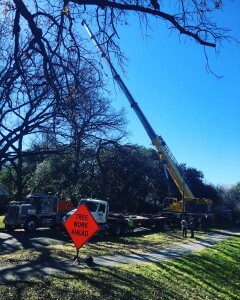 So if you’re looking for Allen-McKinney tree pruning or a respectable, reliable tree trimming service, contact us today! Allen was named after a man named Ebenezer Allen, a former Texas Attorney General and railroad promoter. Both Collin County and the city of McKinney were named after Collin McKinney, a pioneer who helped write the Texas Declaration of Independence from Mexico in 1836. Allen was originally a stop on the train route from Denison to Dallas (which was optimum for growth) but in 1915, a fire destroyed most of the business district. Rumor has it that Eagle Stadium in Allen is haunted by an ex-football player. People have reported seeing a shadow running down the field in the dark — but only on Friday nights.